In the month of August, 2016, I was in Delhi, taking a break from office and meeting up some friends. It was quite hot during the day those days, and even though I wanted to step out of the house for a bit, I did not want to travel long distances either. I had to meet my friends in the evening, so the first part of the day was pretty much free for me. Even though the blazing sun and the annoying humidity was discouraging me to step out, I also wanted to visit the Humayun's tomb during my week-long stay in Delhi, because it was only 3-4 kilometers away from where I was staying. So at 2 O'clock in the afternoon, after lunch, I paid a visit to the tomb with my camera. Here are a few photographs from the visit. 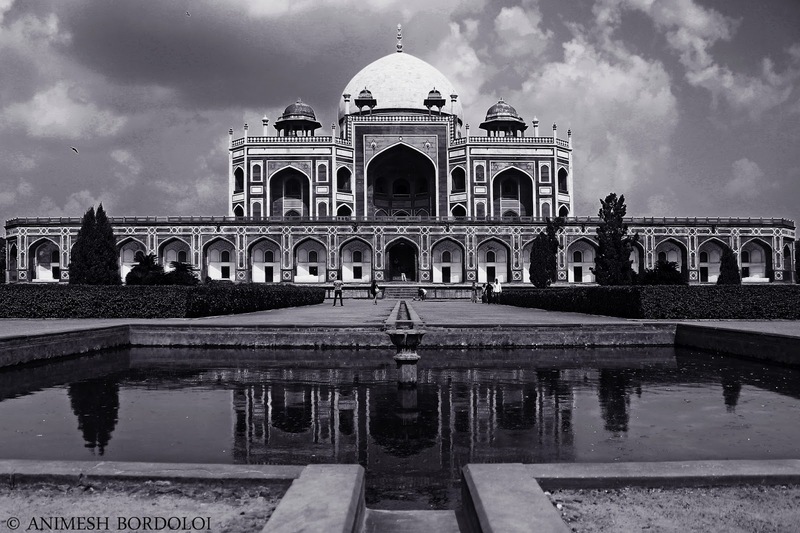 I think Humayun's tomb is a beautiful monument, maybe even comparable to the Taj Mahal. I was in awe of the scale, grandiosity and architecture of the tomb. I spent about an hour there, admiring each and every corner of the monument. 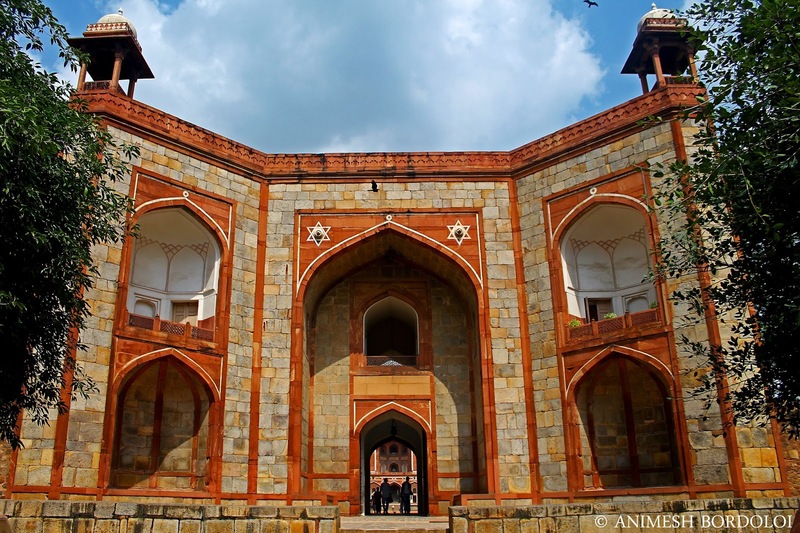 Have you been to the Humayun's tomb? How was your experience? Feel free to comment. Another post coming up on Wednesday. Have a great day and an awesome weekend! Every time I went to Delhi it was about solving my visa problems (what a bureaucratic hell, I must say). Still, I manages to see quite a lot of the city and genuinely loved it. Haven't been to the Humayun's tomb though. Hopefully next time in Delhi it will be more of exploring the city and less of filling silly forms and standing in queues :) Thanks for your beautiful pictures - I'll definitely include the Humayun's tomb into my list of must sees. I can imagine how messy these problems could be. The thing about Delhi is that it has so many of these monuments and heritage buildings, that even a month probably wouldn't be enough to see all of it. I've been to Delhi like 20 times so far, yet I don't think I've been to even half of these places. 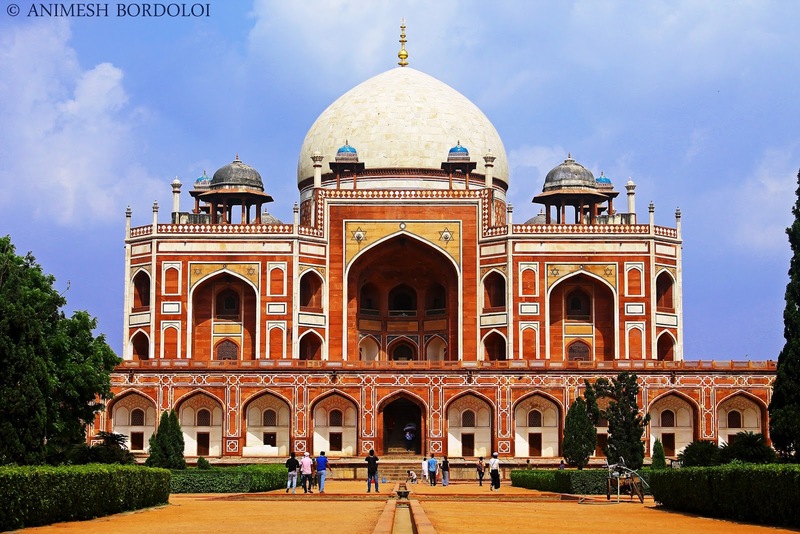 If possible, go to Delhi without Visa problems in your head, and go around the city for a couple of weeks maybe. I'm sure you'll be awed by all there is to see there. A magnificent city. Thank you so much. 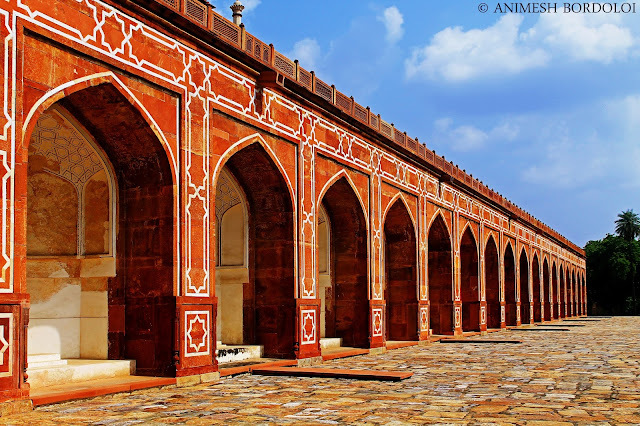 In most of the monuments, we usually find elements such as collonades, series of arches, doorways etc, which present nice perspectives to capture on camera. Yes, perspectives are a little cliche, but they are almost always beautiful, so why not click those. I love them!